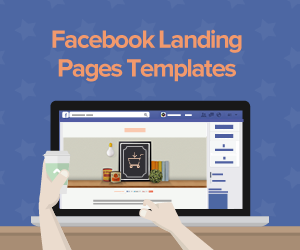 Landings are your digital storefronts, acting as individual entities for promoting and selling products. 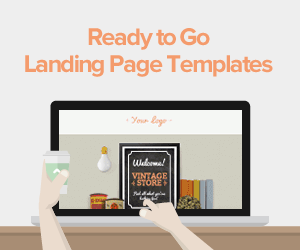 A good landing page can drastically change the course of your business. That is why creating a good landing page that talks to customers is a tough challenge to undertake. The elements that go into designing a landing page greatly exceed the traditional values that older generation websites had. For example, in the early days of internet marketing , a typical landing page had a big heading, a video file embedded with Flash, and a big wall of text that consisted of promises, and other garbage messages. 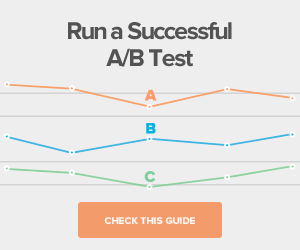 You might be an internet browsing champion, but if you really want to truly understand each of these Landing page examples, there’s no better way than immersing yourself in each one, and writing down what you feel are the strongest and weakest points, and how those findings reflect in your own strategy. 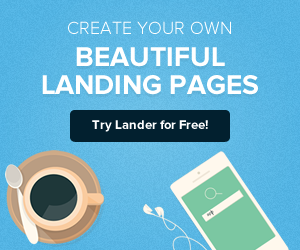 Here are some examples of impressive landing page examples. 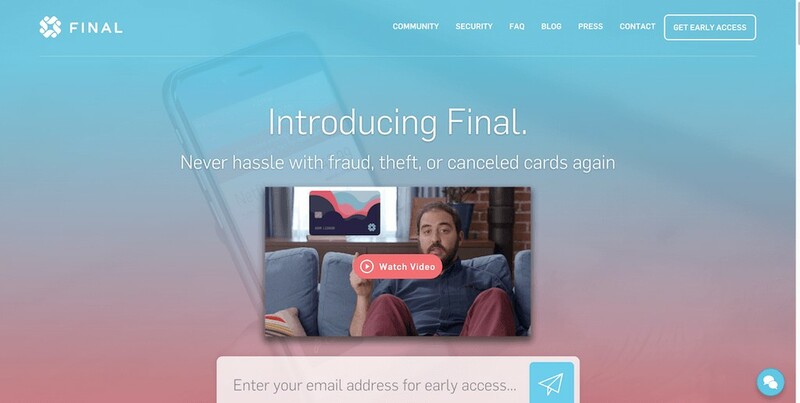 Final wants to change the landscape of banking to prevent fraud, and to improve your peace of mind with modern security features. These features will make the process of banking and banking management ten times easier. When you setup your banking with Final, you get a full overview of what your spending habits are, and where most of your money goes as far as purchases and subscriptions are concerned. Final uses a common approach which shows you what the product is about through video. They also let you subscribe to early access of Final with a massive input form after the video. All this is visible from the moment you enter the website. The design smoothly flows and uses different colors to create a modern statement and user experience. Screenshots are there to show what the inside of the platform looks like to make you fully aware of it. The blog design complements all other design features of Final’s vision, and this makes for yet another transparent browsing experience. 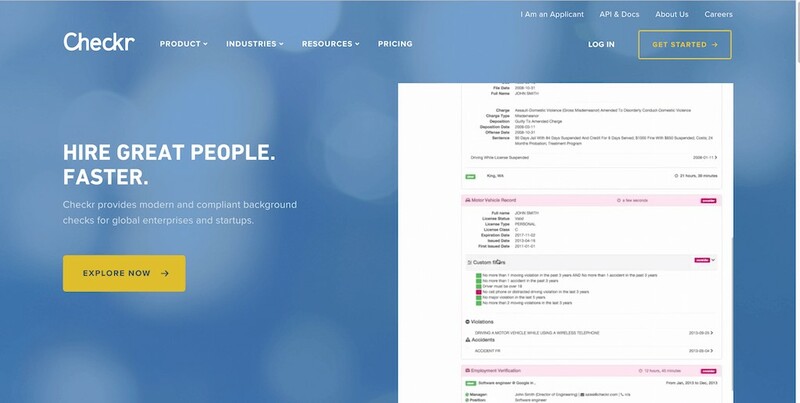 Checkr helps businesses conclude more thorough background checks for the people they want to hire. They provide another layer of security of hiring criminals, or potential employees who could damage the company. Checkr has an amazing approach to showing how the product looks before you start the trial. They use a huge gif image on the front page that you can click on and stop loading at any time. This will guide you to inspect what each of the sections look like. Scroll down and you got an outline of features and a detail review of the categories that Checkr supports. Footer consists of many important pages and resources to help navigate the website, and potential questions that may arise. This here is a great Landing page example of minimal yet delivering websites. Strikingly doesn’t shy away from making their own website design look like an expression of state of the art thinking, and creative analysis. 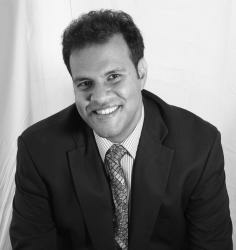 The main focus is to help customers get a start off as quickly as possible. It has an interactive form that asks for customers name, email, and password. They tell you how it works in three simple steps, and does not require that more information in this kind of a platform. They do show users some amazing design examples that are possible to achieve using Strikingly. This is one of the crucial points in web design too. You want users to experience the product and its features even before they start the sign-up process. The design of the Landing page speaks for itself. First, you focus on how well your product is supported and how much experience you have in each area, then you list the possible scenarios that a user might be interested in using your product for. 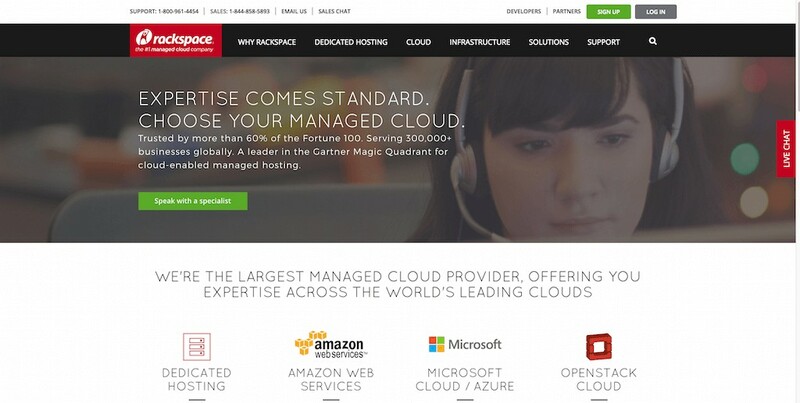 In this case Rackspace offers solutions for eCommerce, web content management, email, productivity, website hosting, web application hosting, database services, and managed security services. All of the individual mentions are clickable design elements, giving the homepage more of a sitemap-like feel to it. And if that wasn’t enough, a separate container with a contact form will put you in touch with one of Rackspace experts; which could be one of the experts on your platform. We have to remember that companies like Rackspace deal with millions of customers. Surely the flow and design of the website has a lot do in the overall customer acquisition process. The fact that all of the landing page examples we listed have helped these businesses to earn hundreds of thousands and in many cases tens of millions of dollars in revenue is a statement on its own. There’s something about knowing what your audience likes, and then using that knowledge to create an easy to navigate web page that will make the process of customer satisfaction seamless, friendly, and very rewarding indeed.